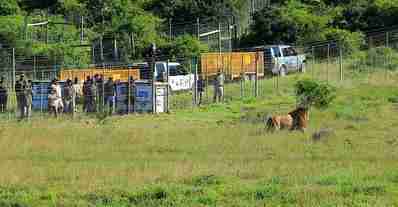 Two lion brothers, who were taken from their mother as cubs and brought to perform in a cruel circus in Bulgaria, have finally returned to their African homeland. 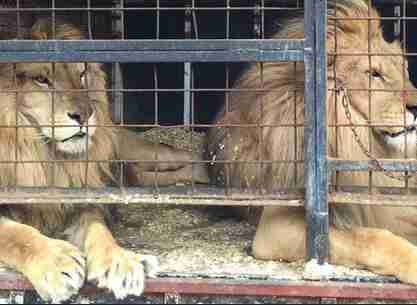 When Bulgaria banned the use of wild mammals in circuses in January 2015, the lives of these lions, Jora and Black, began to drastically change. 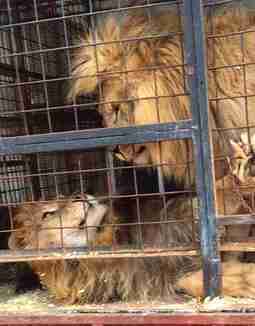 Where once they were kept in tiny cages between forced performances for screaming crowds, Jora and Black started getting help from people at the Born Free Foundation and Four Paws to make the transition to the lives they've always deserved. 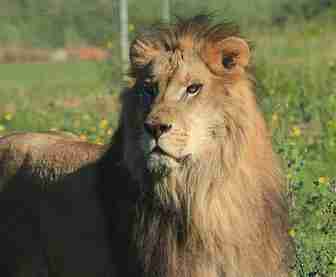 The country's last circus lions, now 7 years old, made a long journey to get to where they truly belong. 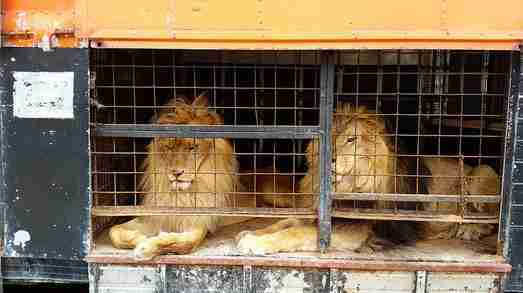 On Saturday the lions were flown from Bulgaria to London on the first leg of their epic trip home. Upon landing, Born Free Foundation co-founder Virginia McKenna greeted Jora and Black. 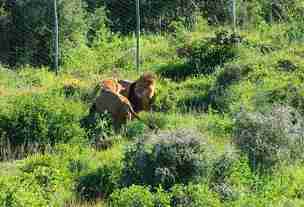 "It's fantastic to see the animals have traveled so well," McKenna said. "They still have a long way to go but I am really happy that with the generous public support we are able to offer them a wonderful new home with our friends at Shamwari Game Reserve. They deserve no less." 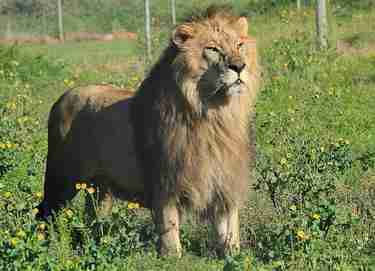 Then the lions flew to South Africa, landing on Sunday. People watched as the lion brothers who had only known exploitation and cruelty for the past 7 years finally took their first steps into the land they could call their own. "Every time we rescue an ill-treated wild animal, forced into unnatural, cruel captivity for years, it is truly a cause for celebration," Adam M. Roberts, CEO of Born Free USA and the Born Free Foundation, said in a press release. "The story of Jora and Black and their opportunity to live in peace in South Africa is an uplifting one; a testament to the hard work of so many dedicated people including Born Free staff, and an inspiration that drives us to save more animals in need wherever they sadly languish." For the first time since they were tiny cubs, Jora and Black are finally experiencing what it's like to be free. Learn what you can do to make a difference for beings like Jora and Black here.